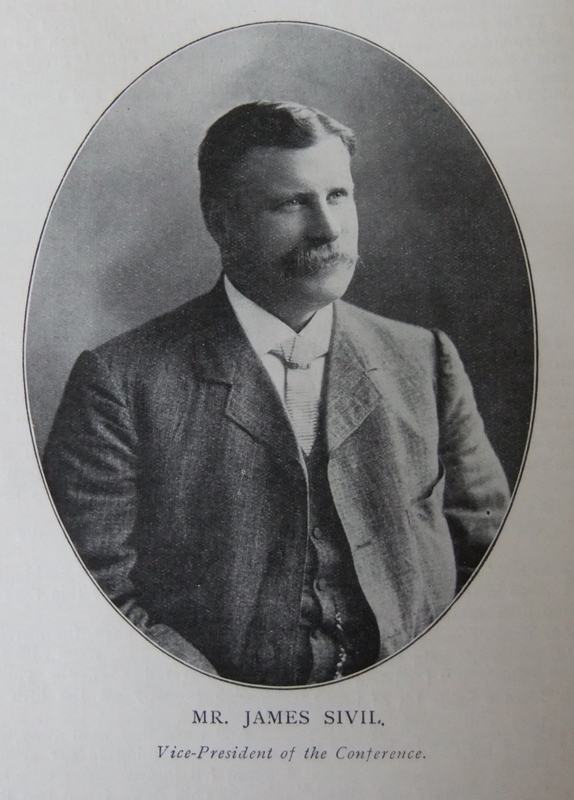 James was born in 1863 at Sheffield to parents George and Caroline. George, originally from Coningsby, Lincolnshire, was a bricklayer. James followed in his fathers trade. James attended the John Street Sunday School in Sheffield as a child. James restless energy and abounding vitality resulted in him being a mischievous scholar. In later years this energy resulted in a successful building and contracting business. His building company was involved in the development of the Nether Edge Ward of Sheffield. James was active as a Guardian of the Poor. His work as Chairman of the Building Committee was marked by a foundation stone laid on 12 June 1912 for the Assembly Hall associated with Fullwood Cottage Homes built initially in 1903-5 by the Ecclesall Board of Guardians. James was Circuit Steward of the Sheffield IX circuit from its formation. James was elected Vice president of the Centenary Conference in 1910. He was nominated by Rev A.T. Guttery. Mr James Sivil, though still in the prime of life, has held almost every position in the gift of our Church, from that of Sunday School teacher to the Vice-President of Conference. He is still an active worker in the School, a Class leader, a Local preacher, District Missionary Treasurer, and has been the senior Circuit Steward since Abbeydale was made the head of a Circuit from Sheffield Fifth nearly a dozen years ago. Much of the Circuit’s prosperity has been due to his spirit of enterprise and generosity. Mr. Sivil is a man of visions and ideals, he combines the spiritual and the practical, he has breadth and balance, is wide in his outlook and sympathies; “Christian imperialism” describes his principles and policy. He is a thorough business man, alert, decisive, and a sound financier. He is kind, large-hearted, and seeks to inspire others to love and good works. 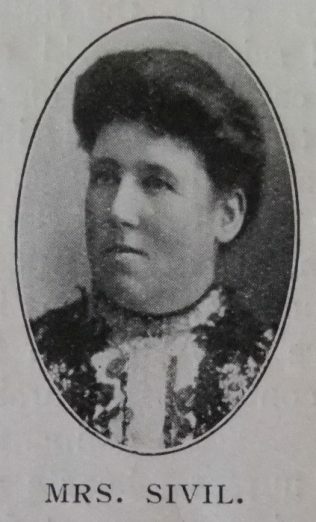 James married Florence Helena Clayton (1866-1933) in the spring of 1884 at Sheffield, Yorkshire. Census returns identify five children. James died on 18 August 1928 at Sheffield, Yorkshire.